If weather outside is frightful…it’s time to ditch the cold and plan a getaway to somewhere delightful! The Pool House is a rooftop getaway located in beautiful and sunny San Diego, where the temperature and weather remain pleasant year-round. While it’s destination-worthy at any time of year, it’s a particularly pleasant escape during the winter months! The weather is perfect. In San Diego, the temperatures average 72 degrees year-round. Not too hot, not too cold. Many people would (and have) called it perfect weather. It’s not just temperate, though. It’s sunny and beautiful, too! In San Diego, we average a staggering and dazzling 266 days of sunshine per year. Since the weather is always appropriate for pool time in San Diego, The Pool House is open year-round. So whether you want to soak up the sun, enjoy lunch and cocktails, or all of the above, it’s the perfect destination. Take that, Old Man Winter! The most incredible views. During spring, summer, fall, and even in the winter, the view from The Pool House is second to none. Our rooftop bar is the jewel of The Pendry San Diego, where it offers gorgeous views of The Gaslamp Quarter and downtown San Diego. You’ll ooh and ahh at the stunning views of the city from The Pool House, which offer a cosmopolitan feel while also offering a serene sanctuary from the city below. It’s the perfect spot to chill in style in the city! Bright and happy food. Heavy, unhealthy dishes? Not at The Pool House. While eating tends to be unhealthy and heavy in the winter, at The Pool House, we keep things light and bright. Your mind and body will rejoice in our fresh, healthy, and delicious menu options that make every day taste a little like summer. 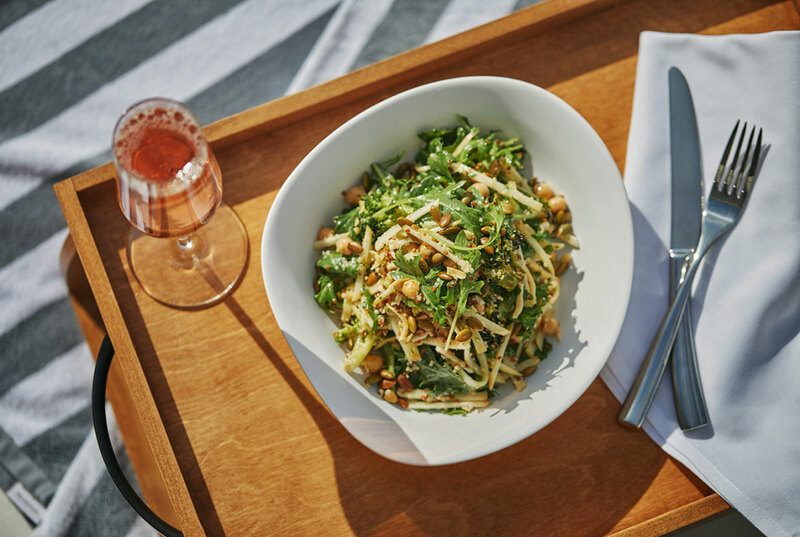 In true California cuisine style, we incorporate classic dishes with fresh ingredients and internationally-inspired flavors. 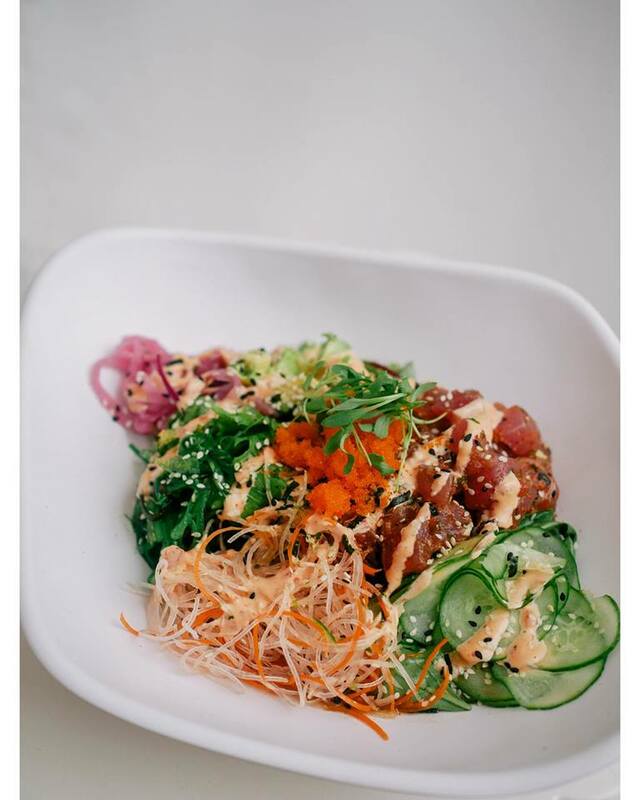 On the menu, you’ll discover items like our Big Eye Tuna Poke, which features brown rice or salad as a base for tuna, avocado, cucumbers, seaweed, and spicy aioli. We also feature amazing salads, sandwiches, and satisfying small plates. We also have a great gluten free menu section, which includes items like our crowd-pleasing Coconut Ceviche, Chips and Guacamole, and more. 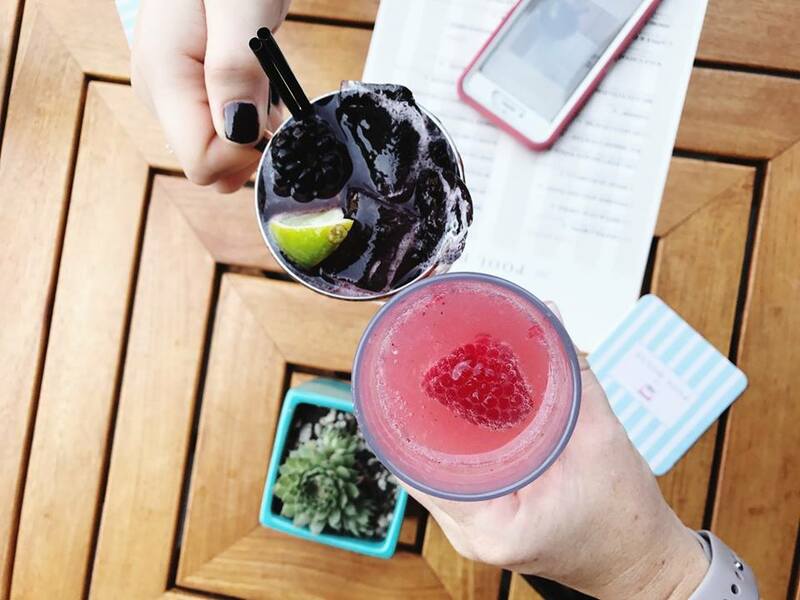 Festive, summery drinks. No hot toddy necessary at The Pool House! Our cocktail menu is as festive as a summer soiree, with incredible chilled and frozen drinks for your pleasure. Where to start? Maybe you’ll explore the Mojito section of our menu, which features both classic and creative takes on the cocktail. Or maybe you’ll try one of our variants of the Moscow Mule, of which we have several! And then there are the frozen drinks. Maybe you’ll start with the Wet Sand cocktail: a masterpiece of cocktail perfection, prepared with Malibu Black Coconut Rum, pina colada puree, and pineapple juice. We also have a delectable and smile-inducing Frosé. Our version is made with Rosé, Absolut Vodka, fresh raspberries, and finished with fresh watermelon juice. You can reserve a cabana or daybed. The Pool House is a popular destination, but that doesn’t mean you have to wait in line. 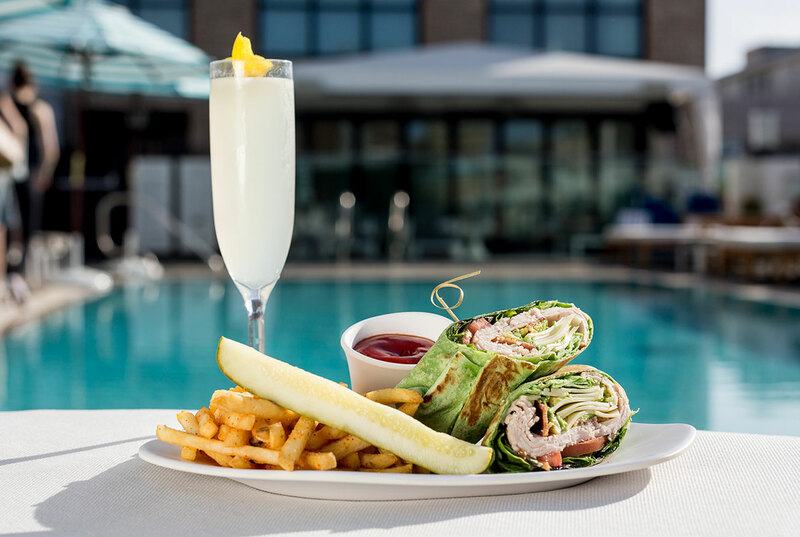 You can reserve a daybed or cabana year round for the ultimate VIP experience at The Pool House! Hands down, this is the best way to enjoy The Pool House’s offerings in style. When you make a reservation, you’ll experience plenty of perks. First, the reservation fee includes your admission to the venue. As you arrive, you’ll be taken right to your reserved spot–no need to wait in line. Once you’re settled, you’ll enjoy private wait-service and your own security staff. The perfect pre-wedding getaway. Are wedding bells on the horizon? If so, The Pool House is the ideal spot for your Last Hurrah party! Not only is San Diego a fun and easy-to-get-to destination, but the weather makes it perfect for “one last fling before the ring” at any time of year. 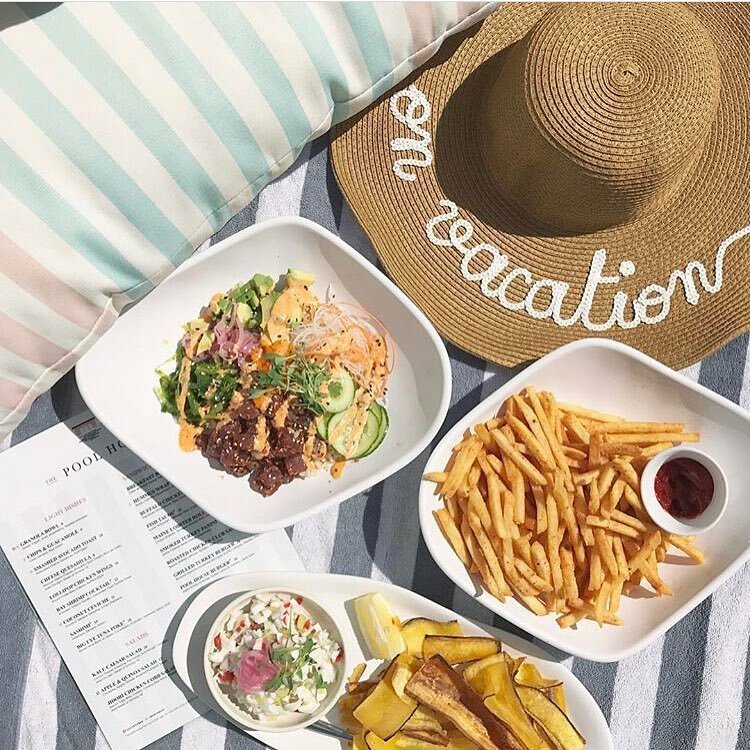 Plus, our location on the premises of The Pendry San Diego means that you can stay on site, enjoy The Pool House, and take advantage of the award-winning restaurants and nightclub also on the premises. Conclusion: Winter can be difficult, so come take it easy at The Pool House! 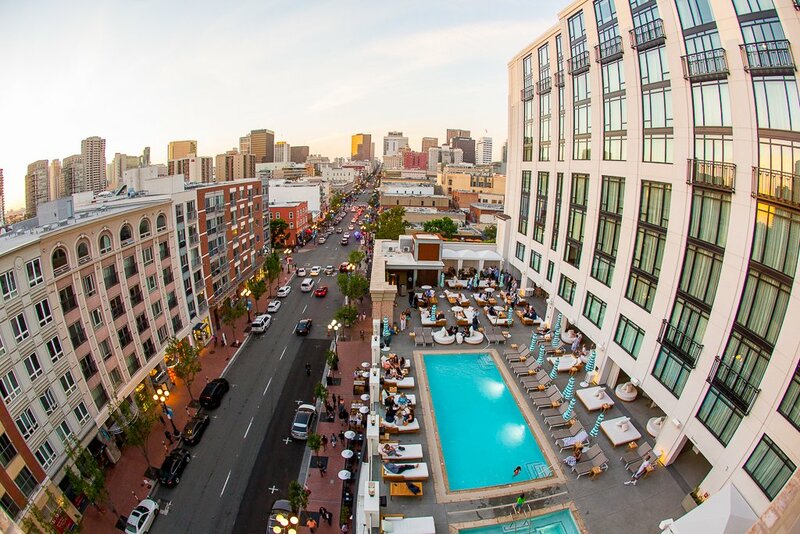 Located in the Gaslamp Quarter of sunny, beautiful San Diego, it’s the perfect place to get away from the everyday. Our rooftop bar offers an experience that is unlike any other, so it’s the perfect setting for your winter getaway! Are you planning a winter getaway?